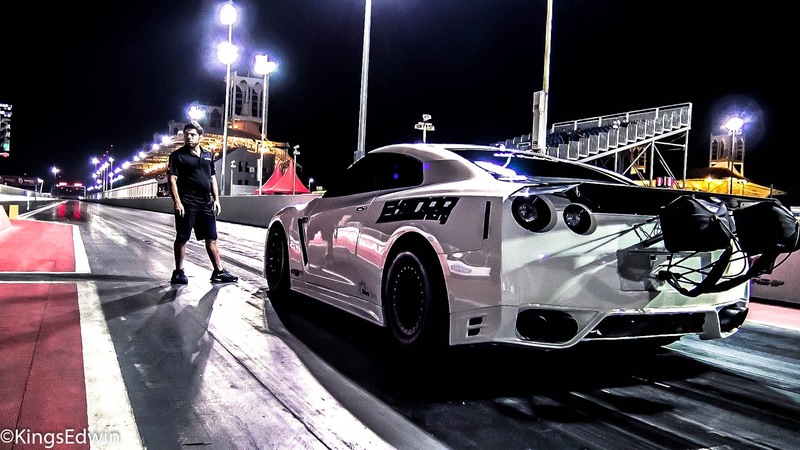 EKanooRacing's T1 R35 GTR NewWorld Record 7.168@209MPH didn't come as a shocker last night from the on going Bahrain Drag Race Championships at the Bahrain International Circuit.Well many expected bigger announcement from the Ekanoo Pro Mod new project RCF V8 twin turbo Lexus that has started kissing the 3.8s classs,but the GTR, which until today was quietly sitting on her own old record of 7.30s at 203mph 1/4 mile, reset its new record to widen the gap for the teams and crews in the R35's.Sad as it sounds...Ekanoo are not letting any newcomers kiss the title. ''The first of what we hope is a number of new records this weekend at BDRC round one, our Nissan GTR has reset its own world record with a 7.168 at 209 run, which began with a new personal best 60 foot of 1.208. 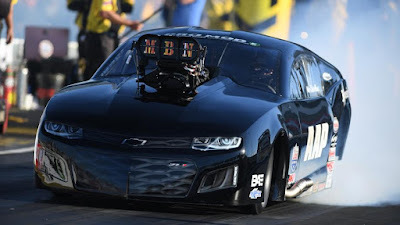 Our team has worked overtime on new developments for this car in the off season and we are just now scratching the surface of what this new setup is capable of, stay tuned.'' Read part of the post they shared on YouTube. Having just seen that, we're not just expecting the crew to pursue the six-second goal, which, admittedly, is just around the corner. These guys have constantly been improving themselves, with the GT-R being just one of the records that currently sit in their trophy cabinet.